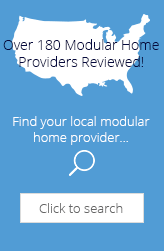 "...We design and manufacture modular homes for more than 400 homebuilders. An industry leader, we recently earned Professional Builder Magazine's ranking as the nation's third largest modular home manufacturer. We also pride ourselves in excelling at customer service, a fact confirmed by our homebuilders in a recent survey...."
Customization Flexibility Full customization and upgrades are available. Avis America offers a large variety of selections for home buyers. Information Package The builder sent a thick package of information including 2 brochures with over 50 pages of floorplan information and a nice introduction letter (an a financing information insert). Editorial Review Avis America was purchased by Excel Homes and was then sold under the Excel Homes brand which is now part of Champion Homes. They were a good option offering custom designed modular homes that matched any site built home. Their website was easy to navigate and has general information along with online floorplans of their standard homes which range up to 2500+ sq ft. We will miss Avis America but are happy that Excel Homes is serving this area. Excel Homes is a good option for modular home buyers looking for mid to upper scale homes. We bought our home 2010. We fully customized our home and are super pleased with it. For the most part everyone thinks that it was stick built. We are happy with it and would recommend a modular over a stick built due to the fact that you don't take the chance of your home being damaged by weather while you build. I purchased my home in 2004. My only trouble was that Avis did not properly screen the "supposed" builder I contracted. I later saw the resume they provided. This "builder" had no previous experience and had no idea what he was doing. It was a nightmare. Next time, I suggest you do a better job of screening. Shirley Miller from Seaside Park N.J.
Tom O'Connor from Chicopee,Mass ( Home was in Hadley,Mass. Bought our Cape Cod though the Home store. Other than GC problems. The house is great. It really is energey effecient and built to last. Avis really went out of there way to make sure I was happy. We purchased our Avis home from GBI builders in Webster Ma. in Oct 2007, we occupied the home July 2008. NO ISSUES with GBI nor AVIS, only with the utility companies which delayed our occupation. The home is more than solid, no issues with home. We have been overwhelmed with praise from friends, family and neighbors and other guests about the look and style of the home. We bought our Avis home through Quality Homes in Afton NY in 2008. We had a floor plan from a combination of 2 homes we had seen. This house is a cape still with and porch the full length of the house and a 12-12 pitch on the roof. The house is 56' by 30'. We were so surprised to see that the upstairs was 56' by 15' so there is plenty of room for expansion. We love our new home and we get complements on it about once a week. We purchased an AvisAmerica home in 2005. It was quick, easy, and definitely affordable as compared to traditional built homes. We completely customized the floor plan, and were (and still are) exceptionally pleased with the home we purchased from AvisAmerica. 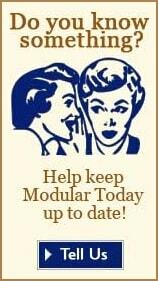 People are always telling us how beautiful our home is, and they often find it hard to believe it's a modular! We invite you to share your personal opinion of AvisAmerica. Please explain your like or dislike.